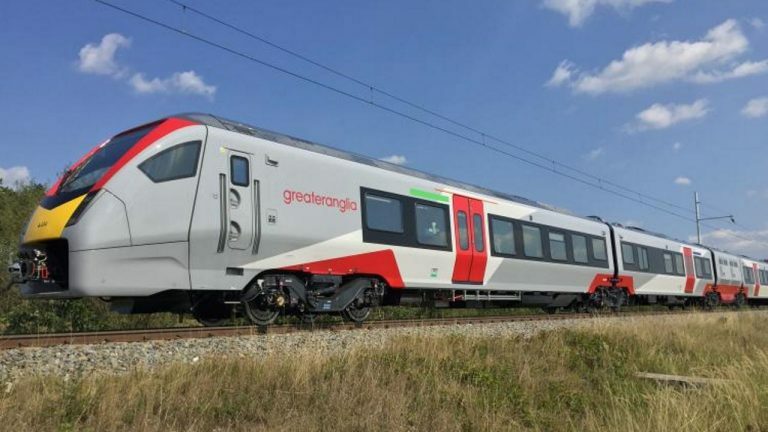 Greater Anglia is replacing every single train with brand-new trains, which will start to come into service from summer 2019. In the meantime, people have been invited to visit five stations across the network to “step on-board” one of the new trains via a virtual reality headset. This has given people the chance to experience its brand-new trains through virtual reality, with a series of roadshows at some of its stations. Through the headsets, people have been able to walk onto a station platform where three of the new trains are parked – a Bombardier train and two Stadler trains. The Bombardier trains will replace commuter trains which run to Liverpool Street from Essex, Hertfordshire, Cambridge and Ipswich. The Stadler trains will replace trains on the Intercity, Stansted Express and rural services. 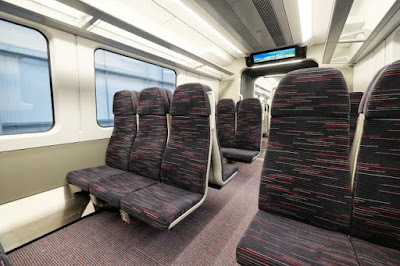 Once “on board”, passengers have been able to look around and see the new seats, carpet, plug points, interior layout/décor, large picture windows and even visit the toilet. Accessibility arrangements have been on view and an opportunity to visit the “bistro” on the Intercity train and walk through the airy carriages. 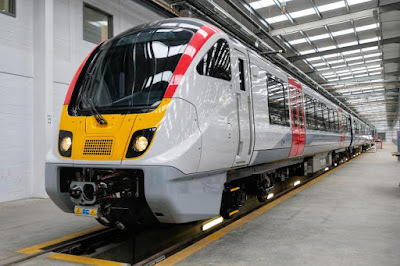 Mike Kean, Deputy Managing Director, Greater Anglia, said: “We’re spending £1.4 billion on brand- new trains to replace every single train on our network. This major investment is going to transform rail travel in East Anglia. 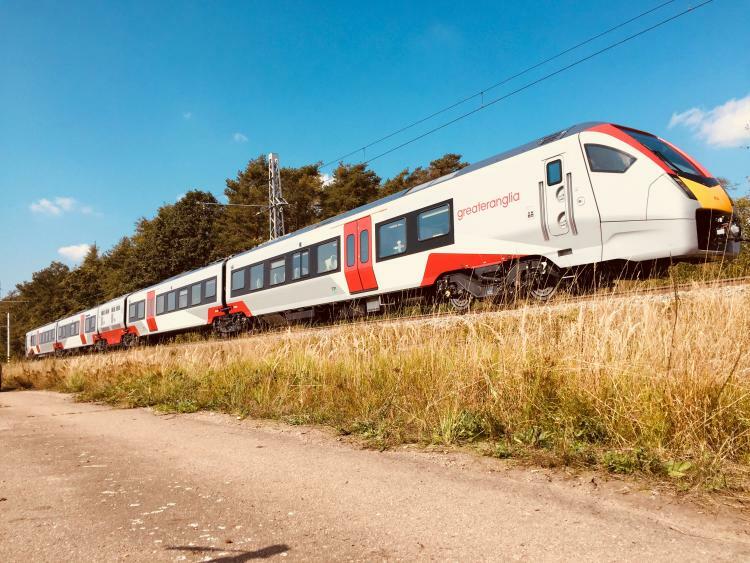 Greater Anglia has involved customers and stakeholders, including rail user groups and accessibility groups, in deciding and finalising the design of the new trains. An online consultation saw over 1,000 people respond. Greater Anglia has released photos showing their brand new trains on test at the Velim Rail Test Track in the Czech Republic. Test Track in the Czech Republic. Stadler is building 58 new trains for Greater Anglia. However, before they are put into passenger service, they must be put through some thorough tests to make sure they are safe and are working well. The bi-mode trains will run on regional routes in Norfolk, Suffolk, Cambridgeshire and Essex, while the electric trains will replace the current Intercity and Stansted Express trains. Once the trains are in the UK, people will see the trains around East Anglia for many months before they enter passenger service. This is to allow train crews to learn how everything works before allowing passengers onboard. The first train is expected to enter passenger service in the middle of next year. “It’s really exciting to be able to see the first of our Stadler trains in action. We’re sure that these trains will transform train travel in East Anglia.